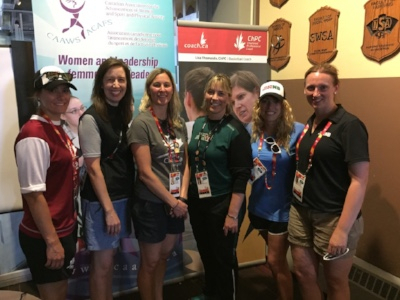 More than 45 female sport leaders from across the country participated in the CAAWS Women and Leadership reception at the Winnipeg 2017 Canada Games earlier this month. Every province and territory were represented and we were pleased to welcome team mission staff, coaches, sport administrators, volunteers, and CAC Women in Coaching and Aboriginal Canada Games Apprenticeship program coaches. A special thank you to the Coaching Association of Canada for hosting the reception in Coach House as well as Coaching Manitoba and Dairy Farmers of Canada for their partnership in the event. Join CAAWS on October 11th to celebrate women's vital contributions to sport and be part of leading the change for greater inclusion of girls and women in sport. "A Celebration of Women and Sport" will provoke thought, spark connections, and mobilize committment to action. With a mix of breakout sessions, plenary presenations, exhibits, and networking opportunities, there is something for everyone! Help usher in the next 150 years on a wave of inspiration and action for equity in sport! CAAWS is seeking a part-time independent contractor with program management experience to implement key program deliverables for the organization related to the design, delivery and evaluation of CAAWS's signature programs, including: Women and Leadership program, Women on Boards initiative, and Long-term Athlete Development (LTAD) initiatives. There is still time to register for the free full-day workshops for instructors and coaches on Building a Foundation of Physical Literary for Women 55-70+. 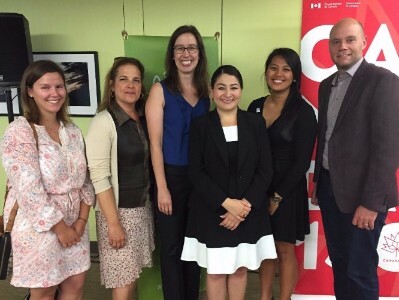 The Ontario Government, partner ministries, provincial and multi-sport organizations, coaching and school sport organizations have built an action plan to support the government-wide goal of strengthening the advancement of women and girls in multiple facets of sport. 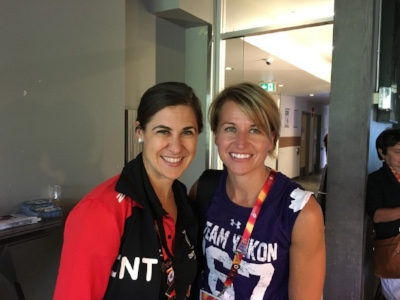 The Ontario Government recognizes that actively engaging women and girls in sport, as well as remaining active throughout their lives, is a vital part of an effective sport system! The North American Indigenous Games organizing committee, athletes, coaches, volunteers, and all other participants on a memorable 10-day event, which saw 22 teams compete in 14 sports. All those involved in making the 2017 Canada Games a successful 50th anniversary event. This year’s games, hosted in Winnipeg, MB, featured over 400 athletes competing in 16 sports, and over 250 cultural events.